~~My Guilty Obsession~~: Something Wicked Returns: Character Interview With Author Brigid Kemmerer and Her Series, Elementals! Something Wicked Returns: Character Interview With Author Brigid Kemmerer and Her Series, Elementals! One of my favorite YA authors is here today with a special interview from one of her characters in her Elemental Series and I couldn't be more excited!! *Fans self* I adore the Elemental series, who doesn't love Hunter, the girls and of course those super hot Merrick brothers? 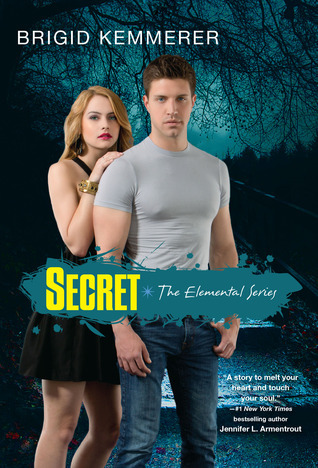 Don't forget to check out the 4th book in the Elemental Series, Secret, due out January 28th! This time it is all about Nick!! MGO: Thank you so much for being here today Hunter. There is so much I want to talk to you about that I don't even know where to begin. First let's start with an easy one, how do you feel about being able to control the elements? Are there any perks to it? Hunter: *shrug* It’s never easy, but it’s better than the alternative. I can influence all four elements of earth, air, fire, and water—but the trade off is attracting attention in whatever way people are wired to give it. Sometimes that’s nice. Sometimes it’s … not. MGO: You haven't had it easy with the Merrick boys. What was your first impression about them? Has the impression changed since you have gotten to know them? Hunter: I thought they were a bunch of ruthless killers pretending to be a family of reckless idiots. Now that I live with them … *half smile* Well, I don’t think the first half is true. MGO: *laughs* Let's talk Gabriel for a minute. Do you think you two will ever learn to trust one another and get past all the crap you have been through and really learn to be friends? Hunter: I think we’re getting closer. MGO: My heart went out to you after reading the last book. I don't want to give anything away from those that haven't had a chance to read it yet but … how are you doing with everything that went down? So much happened between your mom, Kate and the Merrick's. Tell me a little bit about how that is going? MGO: Okay now on to the fun stuff. How do you feel about Ms. Kemmerer? I mean, she hasn't exactly been the nicest to you, especially after that ending in Spirit. Hunter: She’d better make it up to me in one of the next books. MGO: What is your idea of the perfect first date? Hunter: Anything outside. I hate being cooped up indoors. Maybe a campfire? MGO: All time favorite action movie? Hunter: Tough call. World War Z was awesome. MGO: Thank you so much Hunter for being here and letting us pick your brain a little bit. I am super excited for the next book to be out, I hope we will get to see more of you in it and of course those wonderful Merrick boys! Oh, my poor Hunter! *cries* There are times when I still don't quite know what to make of him, but even when I distrust him, he still breaks my poor heart. Michael will always be my favorite, but I adore Hunter as well. Oh Hunter....I volunteer to be his date! We can go out and have a picnic and a campfire on the beach, it will be perfect. :-) I always love in the character interviews when we find out what the character thinks of the author and how they've been treated. This was so fun, thanks for sharing! Aww, Hunter. You know, there are times when I wanted to kick you so hard for being an idiot but in Spirit, I just wanted to give you a hug. Can't wait to hear how living in the Merrick household is like. Thanks for sharing a fun post! Hunter Green. *snort* Such an appropriate favorite color, love it! I still need to read Spirit, but I absolutely adore this series! That mention of the ending of Spirit though has me kind of glad I've waited though, it seems like I'm going to want the next book on hand immediately. Thanks so much for this fantastic interview Ali and Hunter! Thanks Jenny! I am not going to lie, that ending was tough! hehe awesome interview :D I have book 1 to this series. Just need time to start it! it sounds wonderful. Aww poor Hunter, I may be a little old for him, but I would be his date or better yet one of my girls could. 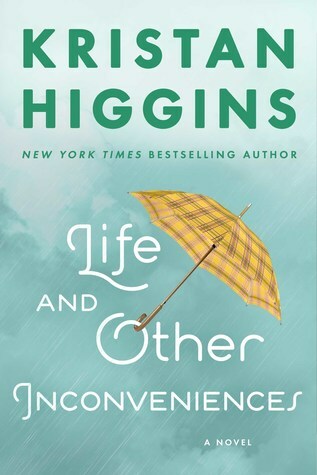 This series is one I hope to read soon! LOL, I love how you put that Heidi! I have heard so many great things about this series and these characters, I can't wait to meet them! I hope you do read it soon Christy! Love, love,love this series and I love Hunter to. Great interview! I love Brigid and this series!!!!! Fantastic character interview! Ah, Hunter, so many bad things happen to him, I will always feel empathy for him and wish he would admit that he and Gabriel are BFFs. Though Nick is the best. Yay to me and Hunter sharing a favorite color! And love campfires too. Something Wicked Returns: This Week's Challenge! Something Wicked Returns Tour Stops! 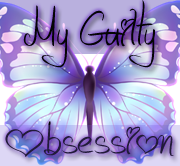 Something Wicked Blog Hop Tour!